This is to certify that I, the undersigned, fully empower and permit any of the Rabbis under the administration of Chabad Lubavitch of Ontario, to act in my place and stead and on my behalf to sell all Chometz possessed by me (knowingly or unknowingly) as defined by the Torah and Rabbinic Law, including chometz, doubt of chometz and all forms of chometz mixture. I also hereby delegate authorization to lease all places wherein the chometz may be found by me. Where will you be on the morning of April 19th, 2019? 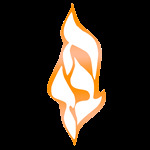 The sale of chametz must be completed by a specific time depending on the location where you will be on the morning of April 19thth, 2019 9:00 AM. Please select a city (and corresponding time zone) where the sale of your chametz should take place. TORONTO, ON (-5:00 GMT) If you will be in a time zone to the east of TORONTO, please select Sao Paulo. Chicago, IL (-6:00 GMT) If you will be in a time zone to the east of Chicago, please select TORONTO. Los Angeles, CA (-8:00 GMT) If you will be in a time zone to the east of Los Angeles, please select Chicago. Honolulu, HI (-10:00 GMT) If you will be in a time zone to the east of Honolulu, please select Los Angeles. Sydney, Australia (+10:00 GMT) Bangkok, Thailand (+7:00 GMT) If you will be in a time zone to the east of Bangkok, please select Sydney. Moscow, Russia (+3:00 GMT) If you will be in a time zone to the east of Moscow, please select Bangkok. Jerusalem, Israel (+2:00 GMT) If you will be in a time zone to the east of Jerusalem, please select Moscow. Paris, France (+1:00 GMT) If you will be in a time zone to the east of Paris, please select Jerusalem. London, England (0:00 GMT) If you will be in a time zone to the east of London, please select Paris. Sao Paulo, Brazil (-3:00 GMT) If you will be in a time zone to the east of Sao Paulo, please select London.